Heather L. Milligan dedicates her practice to the area of Family Law. She is a Certified Family Law Specialist, certified by the California Board of Legal Specialization. In addition to her law degree, Heather has a Master of Social Work degree from San Diego State University, and this guides her child-focused style in custody and visitation matters. Heather practiced as an associate and then partner with the firm McDougal, Love, Eckis, Boehmer & Foley, under the mentorship of S. Michael Love, CFLS, AAML, from January, 2004 through April, 2014, handling exclusively family law cases. 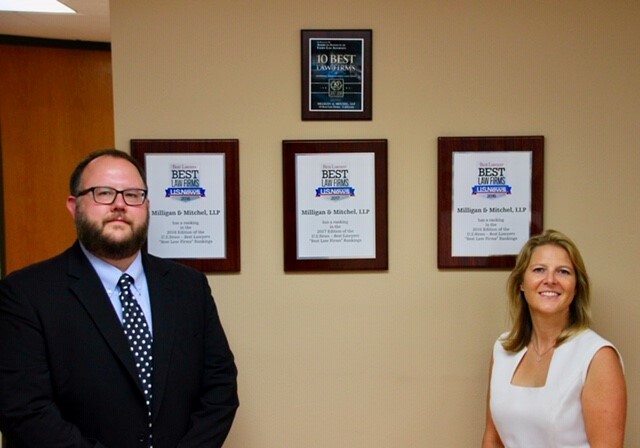 Commencing May 1, 2014, Heather co-founded the predecessor firm to Milligan & Mitchel, LLP. Heather manages her case from intake, through discovery, hearings and settlement negotiations, to the end of the case, which can include a Marital Settlement Agreement or trial. Heather prepares prenuptial agreements, pursuant to the requirements set forth in the Family Code. Heather routinely argues custody and visitation cases, child and spousal support cases, as well as arguing for and against move-away/relocation motions that allow one parent to move with a child or children outside the County of San Diego. Heather also advocates for nonparent rights and guardianships, when appropriate, and she acts as Guardian Ad Litem when appointed by the Court. Heather has significant trial experience, including short and long cause trials, addressing issues such as custody and visitation, the UCCJEA, support, property division, tracing, reimbursements, and the legislative history of laws related to family law issues. She is committed to zealous representation of her clients, and ensuring that they receive caring assistance with their family law issues. Heather also uses her experience to serve as Minor’s Counsel, wherein she is appointed by the Court to represent minors in family law matters so that the children can have a voice and so that the Court can hear child-focused and directed advocacy for the children. After a nomination and peer review process, Heather received the honor of being named in the 2015, 2016, 2017, 2018 and 2019 Editions of San Diego’s Best Lawyers. Named in the Spring Edition – 2016 Best Lawyers Business Edition: Women in the Law. Selected to the 2018 San Diego Super Lawyers list, an honor reserved for those lawyers who exhibit excellence in practice. Only 5% of attorneys in San Diego receive the distinction.